I can help you reach your exercise dreams through a well thought out, long-term plan, achievable short-term goals, daily texts and emails and assessing your strengths and weaknesses. I coach everybody from the chronically ill (who want to improve their health and fitness) to mid-level athletes (who want to achieve big goals or improve their performance) to back-of-the-packers (who want to move up in the pack, or just feel better and enjoy themselves more). 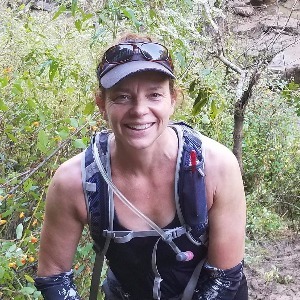 Energetic, certified personal trainer and group fitness instructor with a strong background in chronic illness and recovery, running, ultrarunning, functional exercise, cycling and swimming. Highly motivated to assist beginner through intermediate exerciser reach his or her health and fitness goals. Promotes activities that encourage participants to enjoy exercise while getting maximum benefit and sustainability out of their programs. Success. Coach Dusty Hardman has been notified of your message.